One of the biggest barriers to effective progress as a rock climber, ironically, can be training sessions in a commercial climbing gym. Oh, sure, there are good gyms around, but they’re rare and many lack certain very useful things. These things can range from lacking a good hangboard, to limited hours, to sandbagged problems, to too much cave and not enough vertical terrain (yes, I really said that). Most rock gyms lack more than one tool. They might not even have a hangboard, might not have holds made this decade, and might be choked with people at every time you can manage to get there. 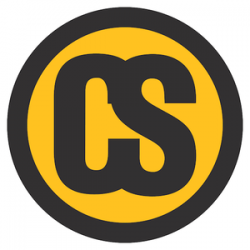 These gyms are the root cause of many of the “How the %$#^^ do I train here?” emails I get. And although lack of tools can be a huge barrier to effective training, it’s no excuse. You’ve got a job to do. Don’t fall to the level of the gym you’re training in – just up your game. The following sessions and strategies are some suggestions on how to get a great training session out of any gym. These don’t fall into any particular training program – they’re more along the lines of just getting a somewhat effective session in a tough situation. In this session, you’re going to pick 4 problems to climb. These problems should be a grade you can regularly flash, or at most get second go. Get warmed up well, and move to problem 1. Send the problem, then rest 90 seconds to 2 minutes. Send it again, but cut back your rest by 5 seconds. Do the problem again, and again cut your rest by 5 seconds. Continue with this pattern until you’ve done the problem 8 times. You might not send the last couple of goes, but stick with the rest anyway. After completing the series, rest about 8-10 minutes before moving on to problem 2. Do the same pattern with problems 2, 3, and 4. You’ll notice that as you cut rest and get more fatigued, you can still send because you are continuing to refine your sequences and you are getting more efficient at each move. This is the true value of these sets; learning to improve and improve on an “easy” section of climbing pays huge dividends on redpoints. The Circuit 1 session is a route preparation bouldering session. I used to only plan these for climbers that didn’t have access to routes in a gym, but I actually think these are superior sessions to typical route climbing gym sessions. I might be living a sheltered life, but it seems like the strong boulderers are kicking the hell out of everything they touch these days…shoot me an email if you know someone who climbs routes inside as their primary training and is killing it outside. Pick ten problems that are at your onsight level or a little easier. I like to start with harder ones and move to easier toward the end of the circuit – that way you don’t thrash too badly at the end. 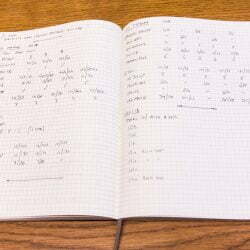 You’ll do all ten problems in sequence, with just 2 minutes between. Rest 10-15 minutes, then repeat. In this circuit, we try to manage three different goals: skill development, power, and fatigue resistance. This is not a max bouldering session, so the power you’re developing is going to be more “route” power than all-out bouldering power. After warm-up, you’ll do a max-level problem (preferably one you have figured out). Jump down (or fall off) and immediately follow it with two back to back problems that are 3-4 grades easier. These problems need to be done perfectly, with no technical errors, so stay sharp. I like two fundamentally different problems here, one steep (45 degrees or more) and one vertical or just slightly overhanging. Rest 5 minutes or so, then repeat. Do this series 4 times. You’ll then do another series that feature roughly the same grades, but different styles of problems. The second series is a little better if it suits your strengths a little more than the first. Work sessions are designed like many top-level bouldering comps. You’re going to try project-level problems, but only for a specified time. Once the time is up, you move on to the next problem, no matter what. These are great sessions for learning pacing, efficiency, and for squeezing the tryhard out of you. Warm-up well, then spend 8 minutes on your first problem. If you send it, rest the remainder of the 8 minutes, then two more (total time per problem is 8 minutes + 2 minutes rest). You’ll repeat this sequence with 4-5 more problems for a total session time of 50-60 minutes. These efforts might end with sore joints, torn skin, and sore muscles, so plan on only one of these every 2-3 weeks. In this session, we try to solidify good climbing technique while under fatigue. You know how it goes…you can do the moves from the hang, but you can’t hang with the moves on the go. 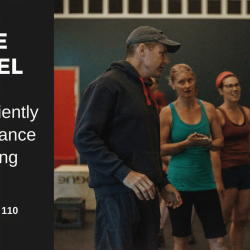 In this session, you learn to harden your skills and climb well under fatigue. I don’t really plan these sessions much anymore because of the huge anaerobic component of them, preferring to build power endurance from either end in a High/Low format. However, for a true PE testpiece, there’s nothing like a good PE tune up. Pick a problem that is maybe one grade below your project limit…maybe one that takes you 3-4 tries to send the first time. You’re going to warm up well, then send the problem. rest 2-3 minutes, then send a really easy problem (let’s say a V1), followed immediately by your “work” problem. Rest 2-3 minutes, then send a V2 followed by the work problem. Continue up two more levels (to V4) using the same progression, then take a 10-15 minute rest. The second series is similar. Pick a work problem, but maybe just slightly easier than the first one. This time you’ll send the problem, resting about a minute longer than the rests for your last series. Follow this by a V1 followed by the work problem. Rest again for the same duration, then follow it with two V1s before the work problem. You’ll do 4 sets of this one, too, with the last one featuring 4 V1s in a row, followed by the work set. The more I learn about training, the more I see that it’s the climber, not the program that makes the difference. 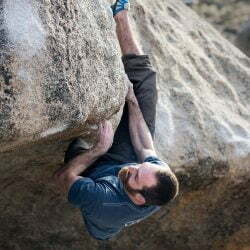 I think the magic moment that separates those that get better from those that stay put is when a climber gets to a move that might mean falling. It’s what happens in that moment that will define a career. Put your heart into the sport and dedicate yourself to climbing not harder, but better, to training right, not just to failure…if you can do this, you’re home free.